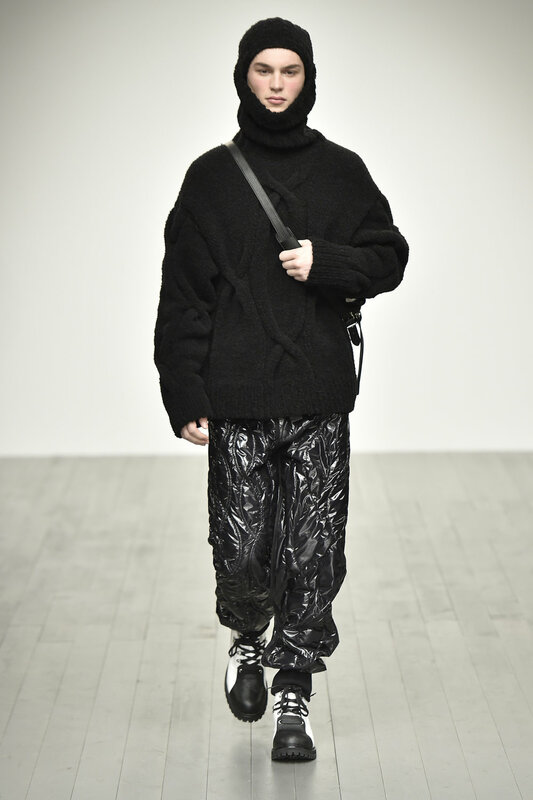 Lately, Yushan Li and Jun Zhou are the Chinese fashion most wanted duo. 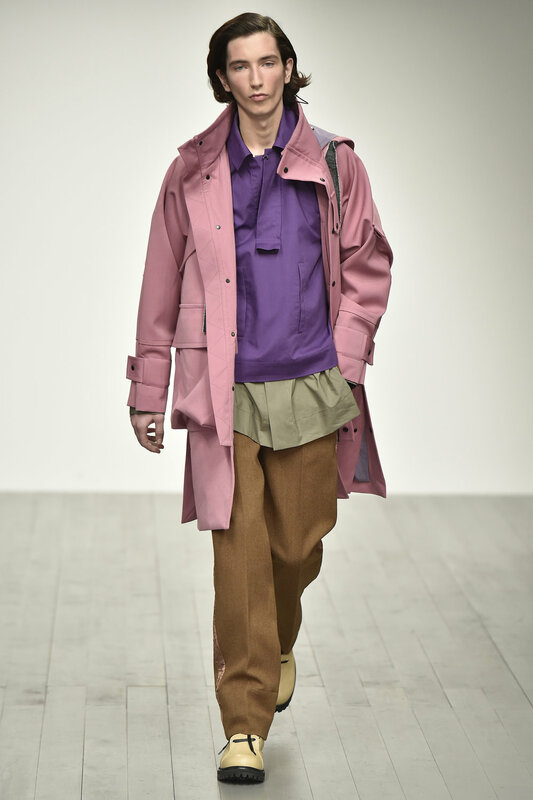 After winning the “The latest fashion buzz” prize, their contemporary menswear brand, PRONOUNCE, has one more time created a new pronunciation of fashion. 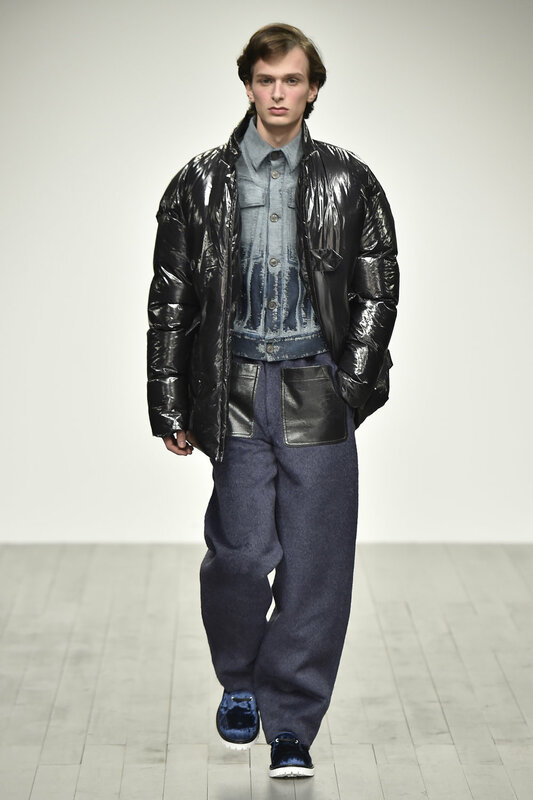 Based in two major fashion cities, Shanghai and Milan, they absorbed the essence of east and the west, and bring them into the collections. 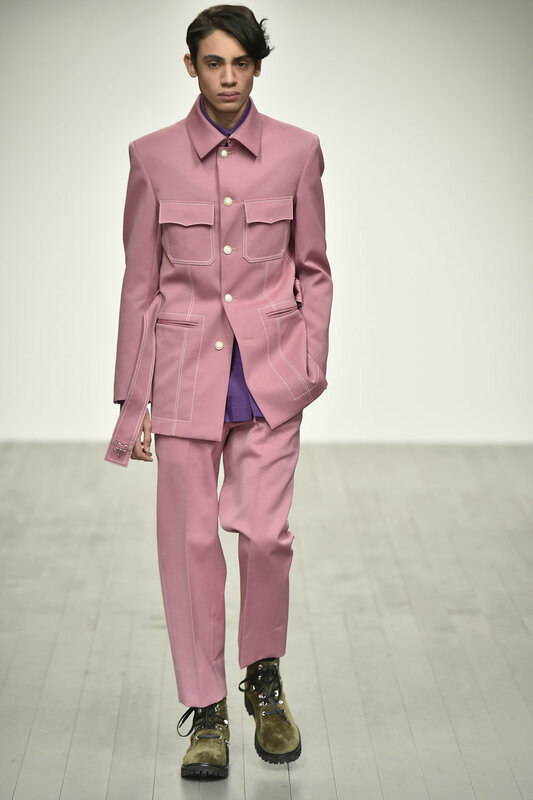 There are some Chinese tunic suits inspired pieces with a funky twist: a darker powder pink suit with white buttons, matched with a purple shirt underneath and a pair of green military boots in velvet- another critical element this season. 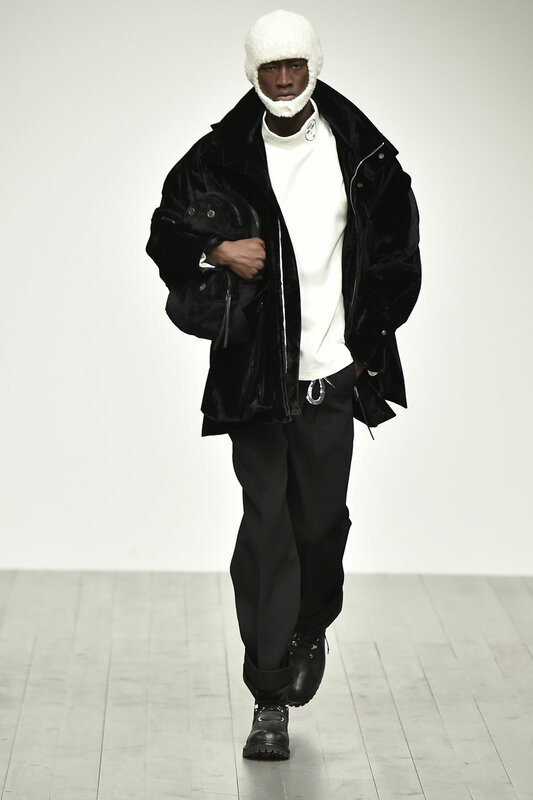 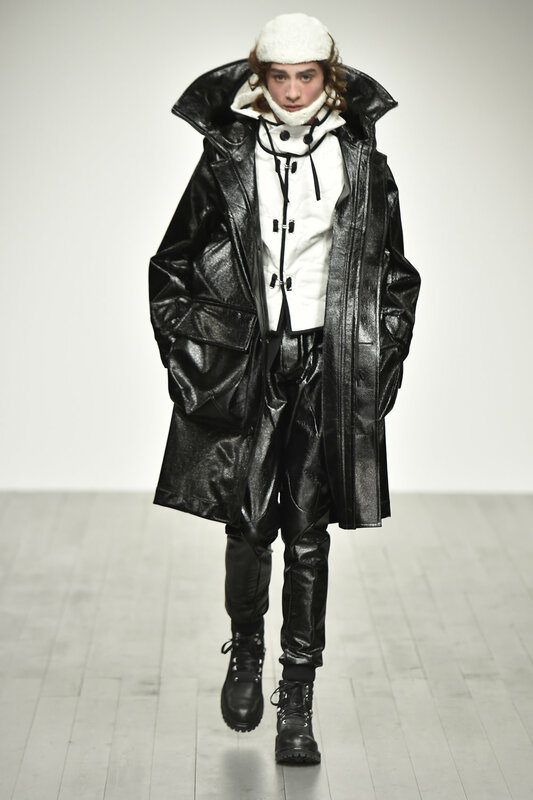 When the show began with a dark colour palette, there was an expectation to see a gloomy and discreet winter collection. 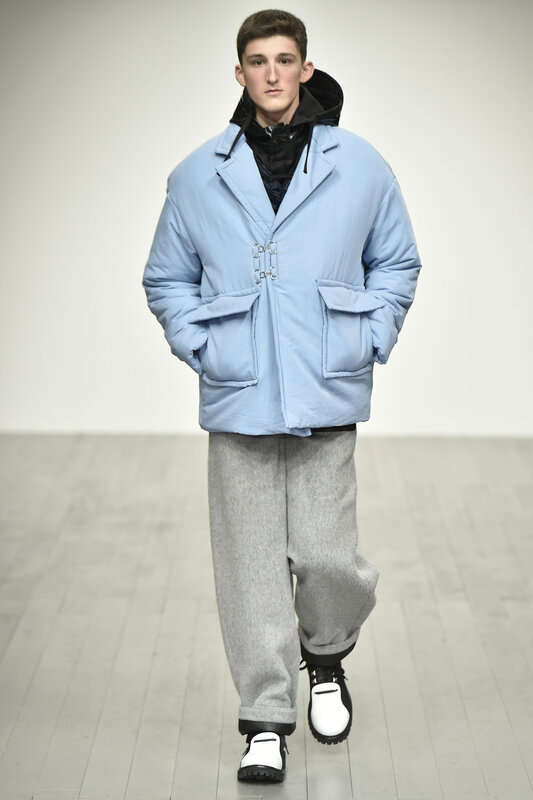 However, the surprise came along after a blue mohair ensemble looks, then you know the little trick they have done under a pair of grey suit trousers: navy velvet lining. 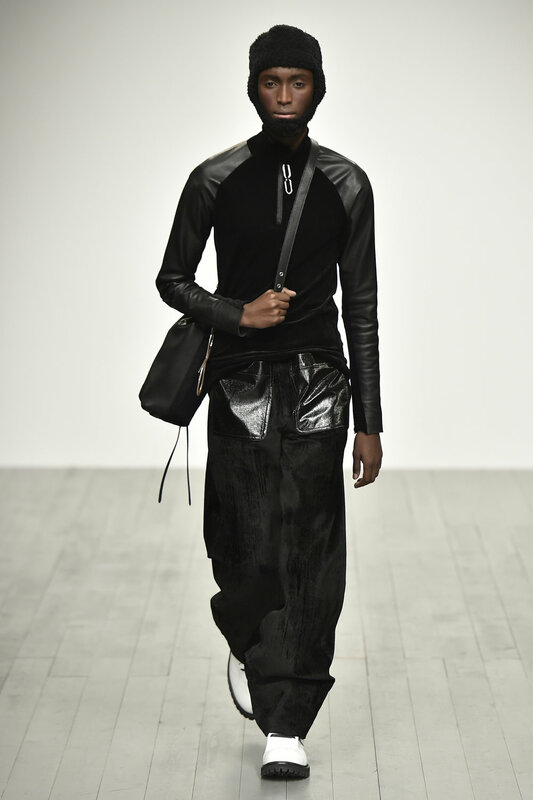 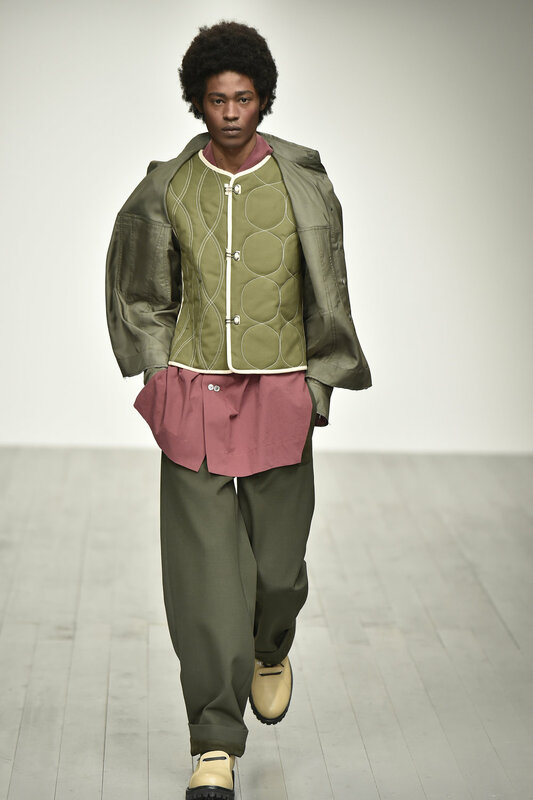 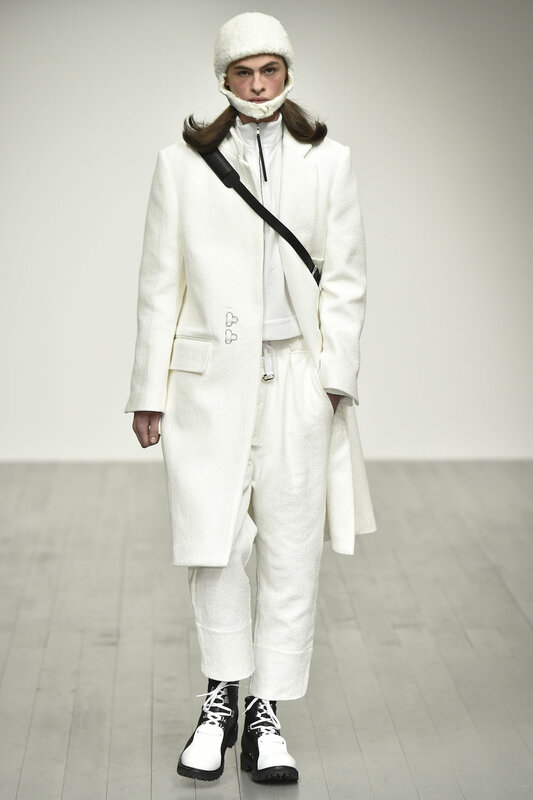 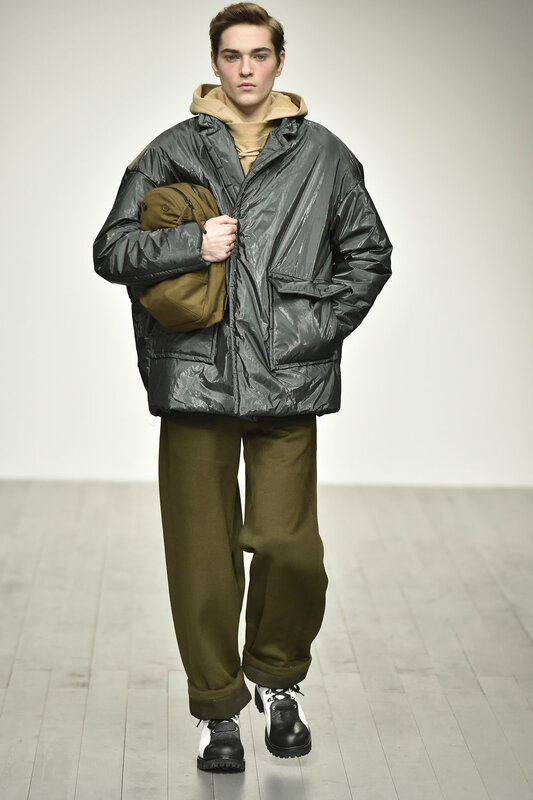 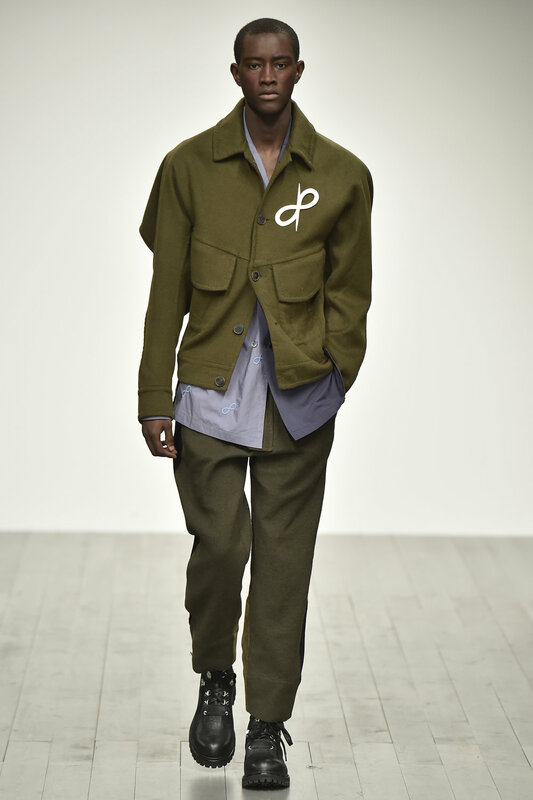 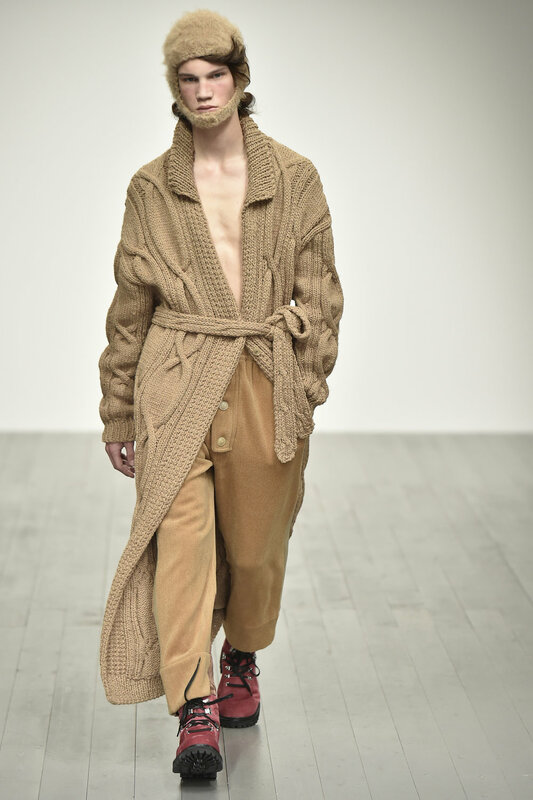 Maharishi SS17 showcased their collection at London Fashion Week, bringing crisp colours, camouflage and high contrast combinations to the catwalk with an underlying message. 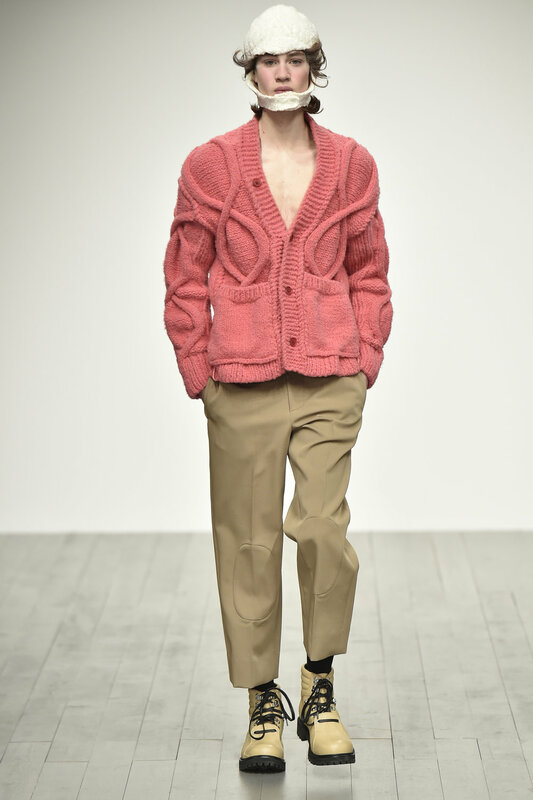 Pop culture is an essential part of Abley’s aesthetic, this cheerful read of fashion has genuinely brought London fashion week with more fun. 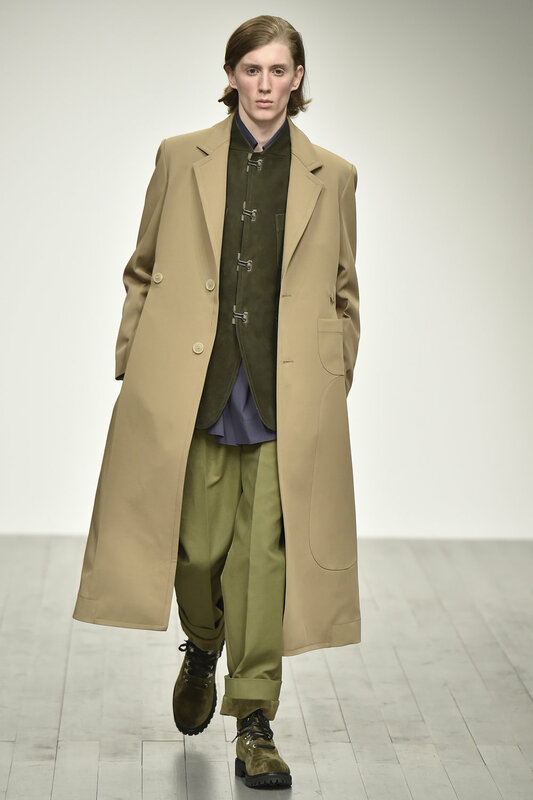 There is an ambiance of folk religion, the energy of cultural sharing from his new collection: Four Greatest Works of Chinese Literature: “Journey To the West,” referenced on prints, and the silhouettes.